Clutch is one of my favorites of the original Joes. It’s no surprise mine is a straight arm version. Being one of the originals, Clutch is mainly a pairing up of some basic parts. For the most part He’s the same figure as Breaker. The legs, arms, waist and head are all the same here. Because Clutch is a bit of a rebel, the bearded head suits him well. These early Joes always look like they have their chins up and head slightly facing up. The black really stands out on this head. 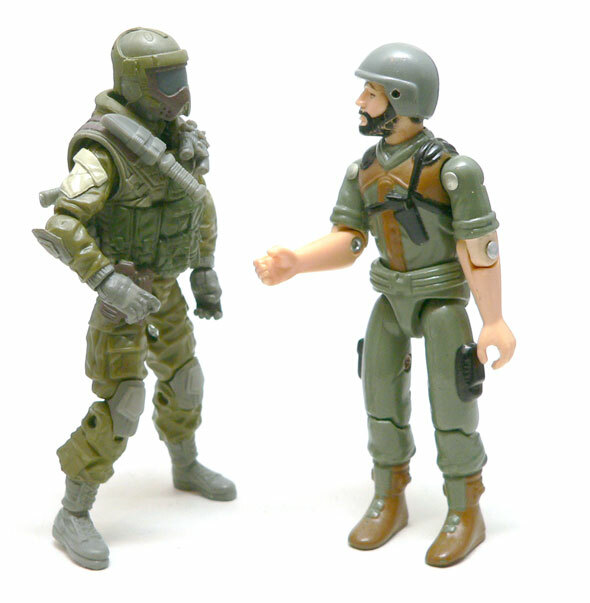 Consider how other companies at the time didn’t even bother to paint the eyes and eyebrows, Clutch and the other GI Joe team members stand out compared to their other o-ring contemporaries. The rolled up sleeves also really fit Clutch’s grease monkey attitude. They look pretty good. You can almost imagine a pack of smokes in one of them. The torso is Clutch’s unique piece. He’s got a couple of leather shoulder pads and some other leather looking detailing on the front of his shirt. I’m not sure why a vehicle driver would need leather shoulder pads, but he makes it look good. The one let down on the chest piece is the sculpted gun looks a tad bit small. Of course, this was long before GI Joe RAH figures had hand guns and working holsters. At a time when Star Wars figures were the top of the line, O-ring constructed figures were pretty neat. Knees and elbows didn’t hurt either. 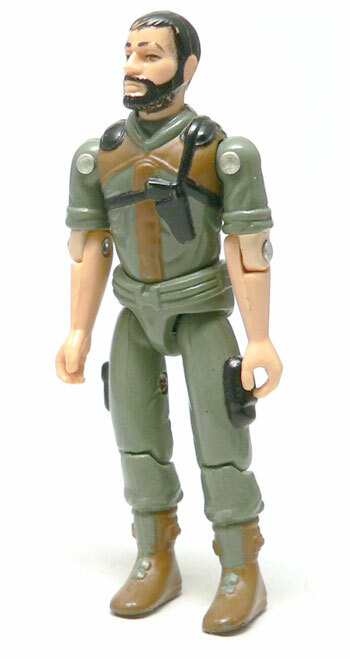 I remember being a kid and thinking how cool it would be to have Star Wars figures with GI Joe articulation. Like I said above, my Clutch is an early one. He doesn’t have the “Swivel Arm Battle Grip” mid bicep articulation. As you can imagine, he’s got quite a bit less options than later figures for holding weapons. Back then, vehicle drivers were light on accessories. Clutch here came with one. His helmet. 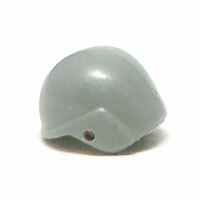 It’s the standard GI Joe helmet that came with all of the original figures. Since he’s behind a windshield, he doesn’t even get a visor for it. Again, removable helmets are something I wished my Star Wars figures had when I was wee nerd. Clutch has a huge fan base and based on his first figure it’s easy to see why. He’s got that scoundrel attitude that people love. 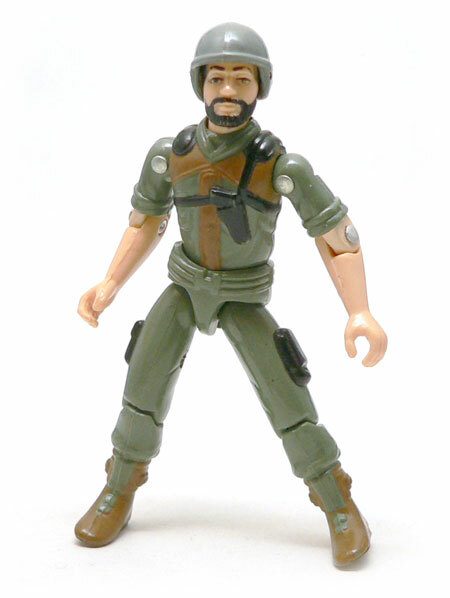 He had a beard which set him apart from most of the Joes. And hey, the chicks always did the guy with the car. Nice figure. I don’t think I ever saw one of these, as in Mexico vehicles had a fairly generic Grunt as drivers. I never realized that. What brand did GI Joe come out as down there? When the VAMP 2 came out here the swivel arm version of this figure was redeco’d in tan to match, similar to the Falcon Glider Grunt.